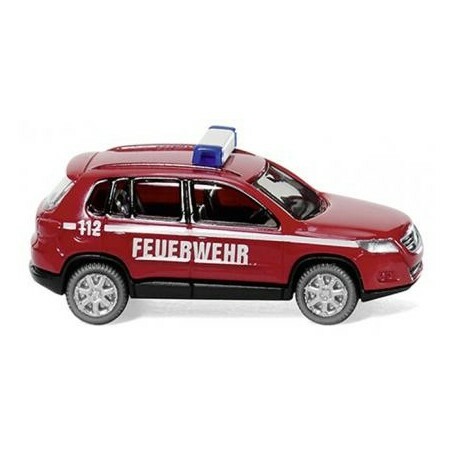 Fire brigade - VW Tiguan. Body red, interior and chassis black. Warning light bar transparent blue insert. Grille with silver-painted VW logo and headlamps with silver wheel rims. White imprint on the side with 'Feuerwehr' lettering and '112' emergency number.